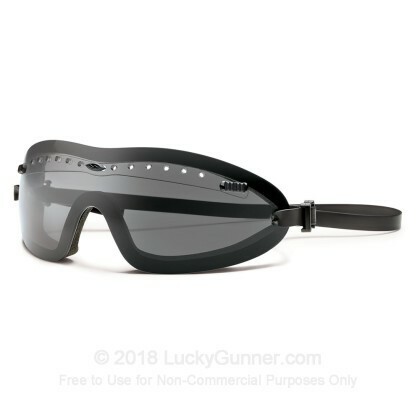 Smith Elite's Boogie Regulator Goggles are an extremely light weight and comfortable option for ballistic eye protection, featuring a top level MIL-PRF-31013 impact rating, in a sub-3 oz. package! Smith Elite's Regulator ventilation system prevents lens fogging, while multiple strap options ensure a proper fit for any application. For their line of Elite Protective Eyewear, Smith Optics drew upon their decades of sports optics design, combined with the expertise of numerous tactical professionals in the field. This design practice resulted in a series of comfortable, attractive, and highly functional ballistic protective eyewear. All Smith Elite Optics protective eyewear meets or exceeds both ANSI Z87.1 and US Military MIL-PRF-31013 standards for ballistic protection. Smith Ballistic Goggles also meet MIL-DTL-43511D, goggle impact standards.